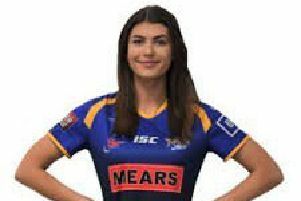 Castleford Tigers director of rugby Jon Wells believes the club have made a big statement with their signing of Melbourne Storm centre Cheyse Blair. 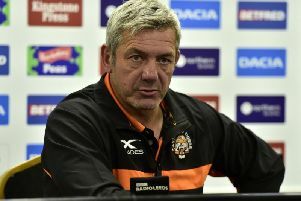 The Tigers are hoping Blair will solve their right side centre problems following the departure of Jake Webster after the Australian signed a three-and-a-half-year contract. Blair, a grand finalist with the Storm in 2016, is the latest in a succession of high calibre recruits for the Tigers, following the arrival of Liam Watts and Peter Mata’utia in 2018 and Jordan Rankin and Daniel Smith earlier this season. As well as playing for Melbourne Storm, Blair has also had spells at Parramatta Eels and Manly, with the 6ft 4in, 16-stone centre averaging a try every 2.4 matches over the course of his NRL career. Tigers Director of Rugby Wells said: “Cheyse’s signature is a huge statement of intent for the Tigers going forward. "He is proven at the highest level in the NRL and brings that experience and competitive edge to a progressive and motivated team. “The Tigers would like to thank the Melbourne Storm – and in particular the hard work of Paul Bunn and Frank Ponisi – in assisting us through what has been a big decision for Cheyse and his family, particularly given he was contracted to the Storm until the end of the 2020 NRL season. We would also like to put on record our thanks to Tas Bartlett of Pacific Sports Management for his diligence in seeing this process through. Tigers head coach Daryl Powell said: “Cheyse is an experienced outside back from probably the best club in Australia. As such, we know we are getting a quality performer with bags of experience and ability.